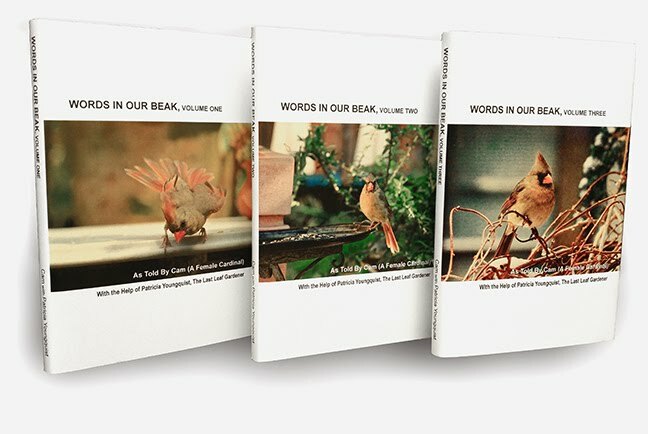 Hello, and welcome to week seventy-second segment of my Tuesday's Truths series, where I'll be telling you why house sparrows make such good birders. 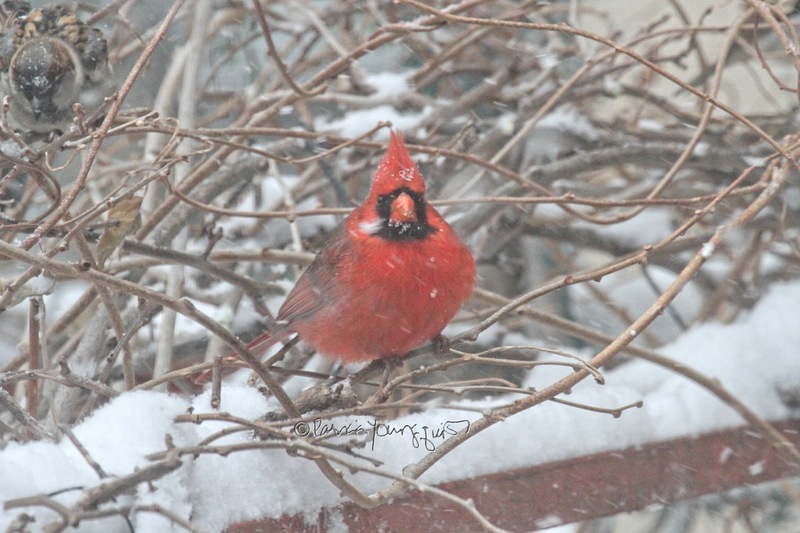 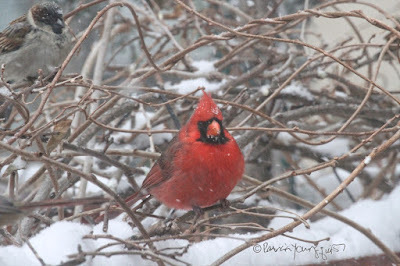 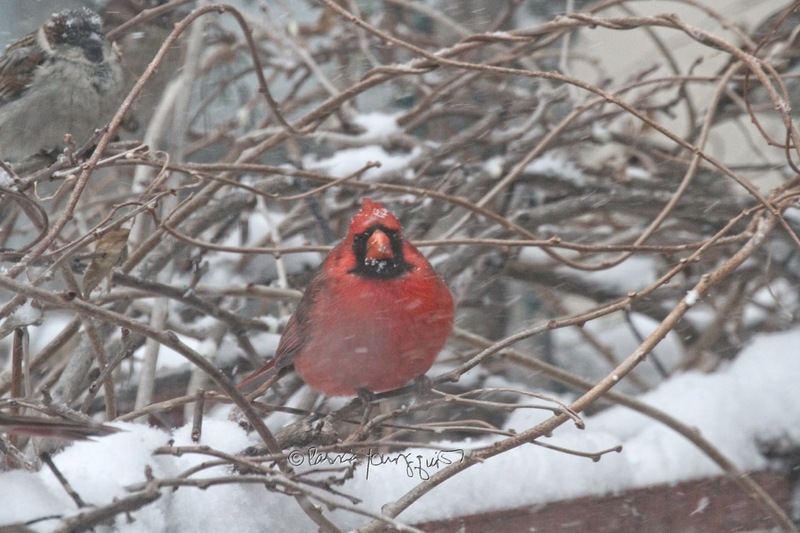 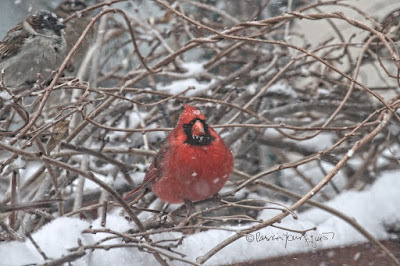 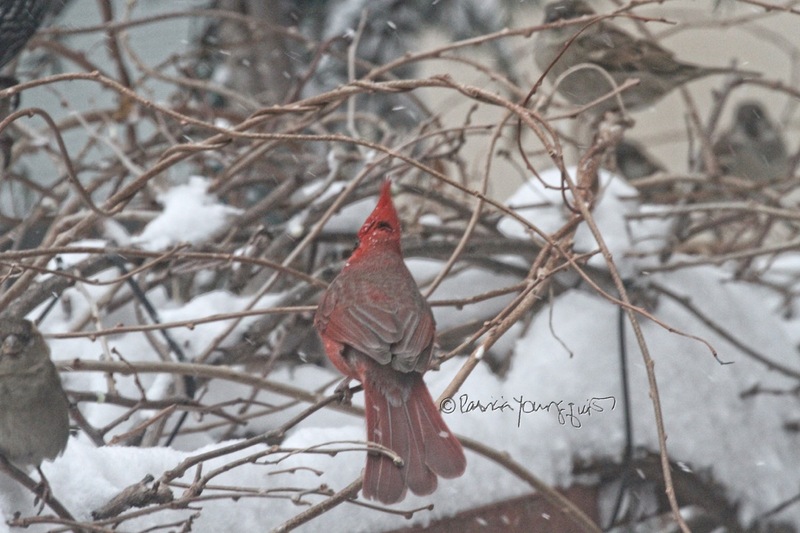 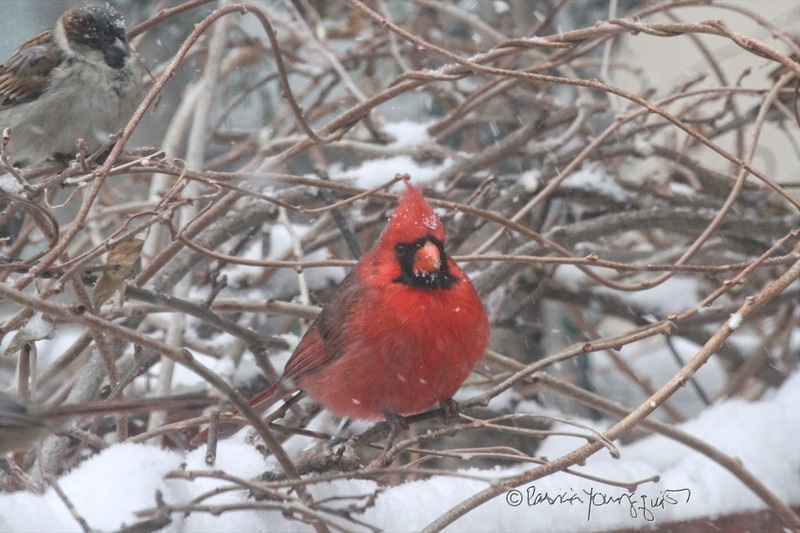 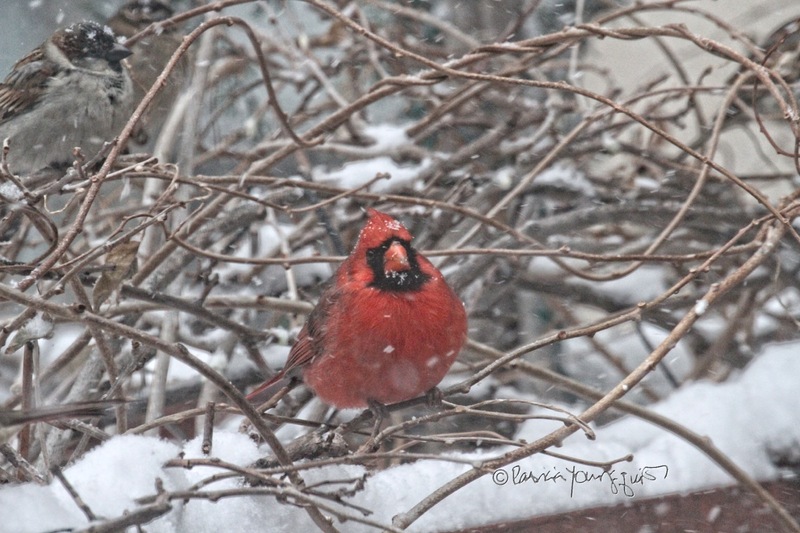 During the "bomb cyclone," a winter storm that hit NYC with a vengeance a little over two weeks ago, I did a lot of bird watching from windows in my apartment which look out on to my rooftop garden; and it seemed a Northern cardinal was doing some people-ing at the same time (as evidenced in the photograph atop this entry). 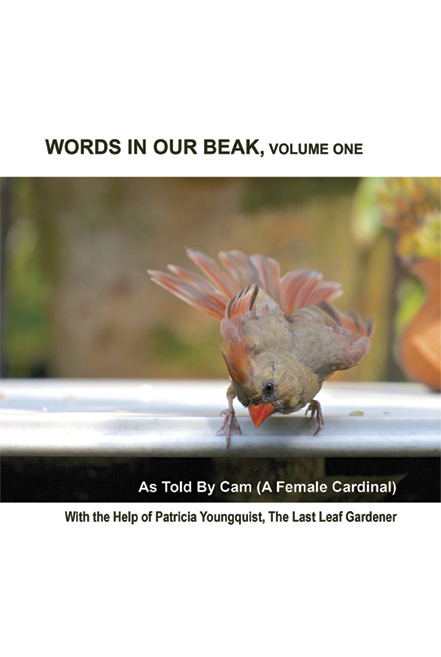 might recall, that the term, "people-ing," is one coined by Cam, a female cardinal, (and the story teller of this book), when she explained that it is a term which birds use when they watch people. In any event, as you can see in the image atop this entry, in addition to people-ing, birds also do birding, and re this activity, house sparrows know just what to wear, did you notice a male one in the image atop this entry? He's perching on some vines to the left of the cardinal and truly blends in with his surroundings, which is what everyone who watches birds needs to do. 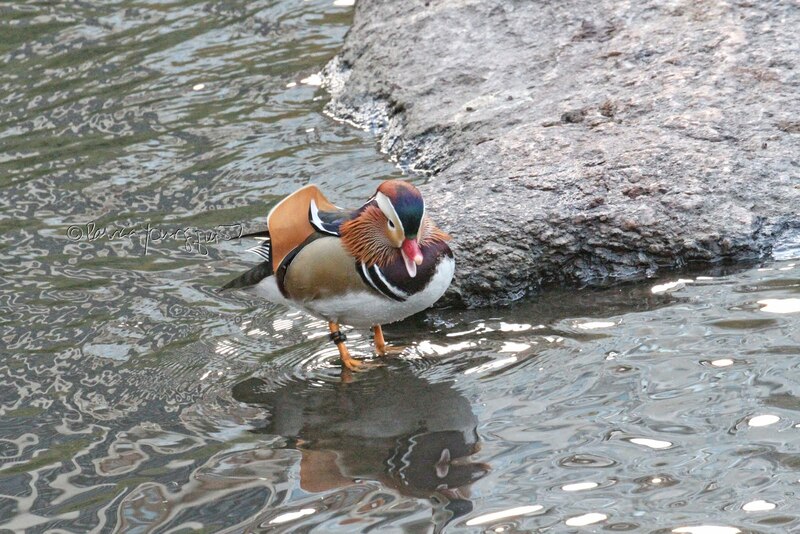 In giving folks advice as to what to wear when they are participating in bird watching, a web-page on thespruce.com, says, "Good birders know to wear clothing that will blend in to the habitat they will be exploring and they choose camouflaged colors or subdued shades of brown, green and gray." And it seems house sparrows must be good birders, because they blend in with the surroundings — at least the ones who visit my place — and this gives them an opportunity to observe to the Northern cardinals that come here. 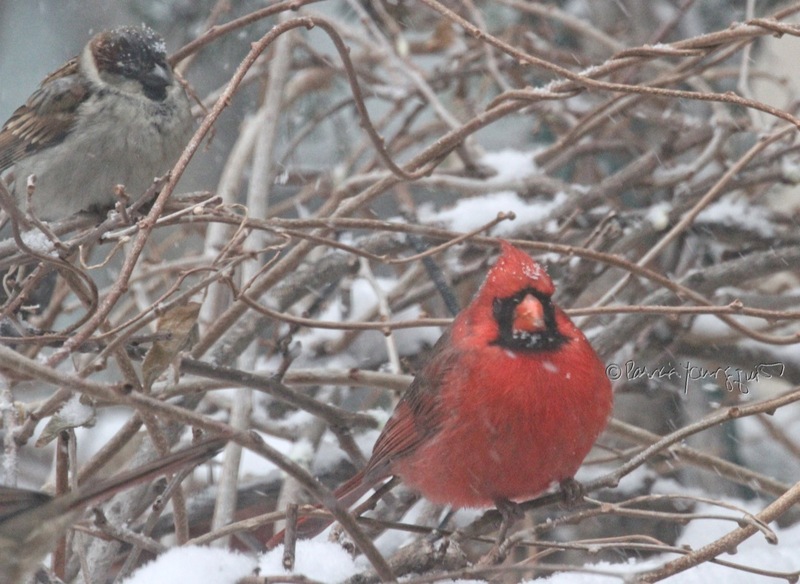 Northern cardinals rarely blend in, especially the male, as evidenced in the set of photos below, where he is being watched by one or more sparrows.